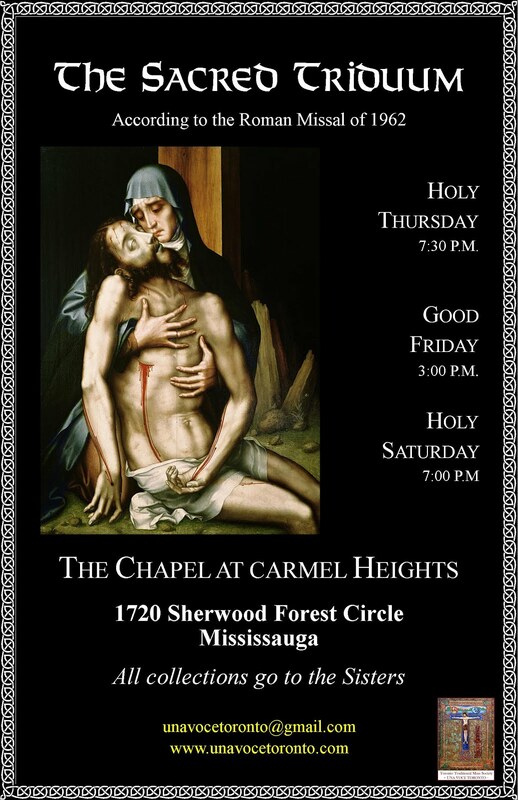 Vox Cantoris: What's up with Father Nagy and the people at Holy Family Church in Whitby, Ontario? Why did Father Nagy call the Police? What's up with Father Nagy and the people at Holy Family Church in Whitby, Ontario? Why did Father Nagy call the Police? I've got to hand it to my good friend at ContraDiction. If all of us had his courage we would take back the culture. Previously, I've written about the Member of Parliament, a Liberal pro baby murdering and pro-euthanasia and homosexualist who attends here and receives Holy Communion on a regular basis. Yet, the Pastor, Father Nagy, does not seem to address this public scandal. My good friend at ContraDiction has taken it on directly. If you don't have the time to watch all of it, start around 12 minutes. A few come out to try to take his sign and deny him his Constitutional right to assembly and expression. Then Father Nagy comes out to complain that his name is on the sign. Shame on Father Nagy, would that he would deal with the Catholic politician and not be worried about his name. Shame on Father Nagy for calling the Police. The first shows up at 27:00 the second at 29:34. And no, Father Nagy, I won't be removing your name from this blog. The Durham Regional Police think the images are "offensive." No Law was broken, the Durham Police were interfering with his Charter Rights! Yes, Vox, the writer at the ContraDiction blog should be commended. He should also be commended for being banned from the Society of Canadian Catholic Bloggers listing by the sites operator, who had a hissy when ContraDiction wrote a critical analysis of bishop Prendergrast, a personal friend of SCCB's operator. Anyone that can disrupt a bishop bromance, upsetting episcopal gatekeepers - especially now in the Age of Francis the Wicked Jesuit - gets a good mark in my book. WHAT A MAN!!! THIS IS A CATHOLIC SOLDIER OF CHRIST!!! These "Catholic" politicians and their supporters have forgotten the reality of hell. When last did one hear a NWO priest preaching on hell? The novus ordo sect denies the existence of hell! Catholic dogma: The punishment of Hell lasts for all eternity. Bergoglio: "No one can be condemned for ever, because that is not the logic of the Gospel!" Amoris Laetitia 297. During His public life, our Savior Jesus often returned to the subject of Hell, of Gehenna, of the unquenchable fire (cf. Mk. 9:43-48) reserved for those who until the end of their lives refuse to believe and convert, and where both body and soul can be lost (cf. Mt. 10:280. Mortal sin destroys charity in us, deprives us of sanctifying grace and if unrepented, leads us to the eternal death of Hell. Pope Pius XII emphasized, on March 23, 1949: "Preaching on the first truths of the faith and the final ends, has not only lost nothing of its opportuneness in our time, but has become more necessary and urgent than ever, including preaching about Hell... But, as for the substance of this truth, the Church has the sacred duty before God and before men to announce and teach it without watering it down in any way, just as Christ revealed it ... It binds in conscience every priest entrusted ... with the task of instructing, warning, and guiding the faithful. It is true that the desire for Heaven is in itself a more perfect motivation than the fear of eternal punishment, but that does not mean that for all men it is the most effective motivation to keep them from sin and convert them to God." Beware the Wrath of God! "Shameless nation, come to your senses before you are driven away like chaff blown by the wind, before the burning anger of the Lord comes upon you, before the day when he shows his fury. Turn to the Lord, all you humble people of the land, who obey his commands. Do what is right, and humble yourselves before the Lord. Perhaps you will escape punishment on the day when the Lord shows his anger." Zephaniah 2:1-3. "...It has not listened to the Lord or accepted his discipline. It has not puts its trust in the Lord or asked for his help. Its officials are like roaring lions; its judges are like hungry wolves, too greedy to leave a bone until morning. The prophets are irresponsible and treacherous;; the priests defile what is sacred, and twist the law of God to their own advantage. But the Lord is still in the city; he does what is right and never what is wrong. Every morning without fail, he brings justice to his people. And yet the unrighteous people there keep doing wrong and are not ashamed. The Lord says, "I have wiped out whole nations; I have destroyed their cities and left their walls and towers in ruins. The cities are deserted; the streets are empty - no one is left.I thought that then my people would have reverence for me and accept my discipline, that they would never forget the lesson I taught them. But soon they were behaving as badly as ever. "JUST WAIT," THE LORD SAYS. "WAIT FOR THE DAY WHEN I RISE TO ACCUSE THE NATIONS. I HAVE MADE UP MY MIND TO GATHER NATIONS AND KINGDOMS IN ORDER TO LET THEM FEEL THE FORCE OF MY ANGER." Zephaniah 3:1-13. Clear words, how can people keep denying them? How can people choose to be so blinded? They choose to be so because they don't want to hear the truth and deny it when it states them in the face. My parents always taught us that God is merciful but they always told us to remember He is just..and we will have to face His justice. Now is the time to amend our lives, now. I only pray that at least one person will have their eyes opened at Holy Family. How awesome to see a Catholic man protest so very publicly in front of the parish in which the pastor is allowing this scandal to take place. I applaud this fine gentleman for proclaiming Church teaching because we know it is not happening in the pulpit. The Catholic Church under Pope Francis is getting bolder by the day in pushing the anti-Catholic agenda. The one big takeaway I had from this is the appropriateness of using the graphic images. I go back and forth about whether or not it is appropriate to do so. Part of me says no, but part of me says that people wont really understand the horrors of abortion until the see what abortion is. I don't condemn his use of the images at all, just that i still wonder if that is an appropriate approach. God Bless this man! Calm, resolute and well spoken when confronted. Bravo! Well blow me down! Here is a Benedictine Abbot Primate Notker Wolf and Feedback to play music for abortionists on their journey along the Highway to Hell. This has to be seen to be believed! 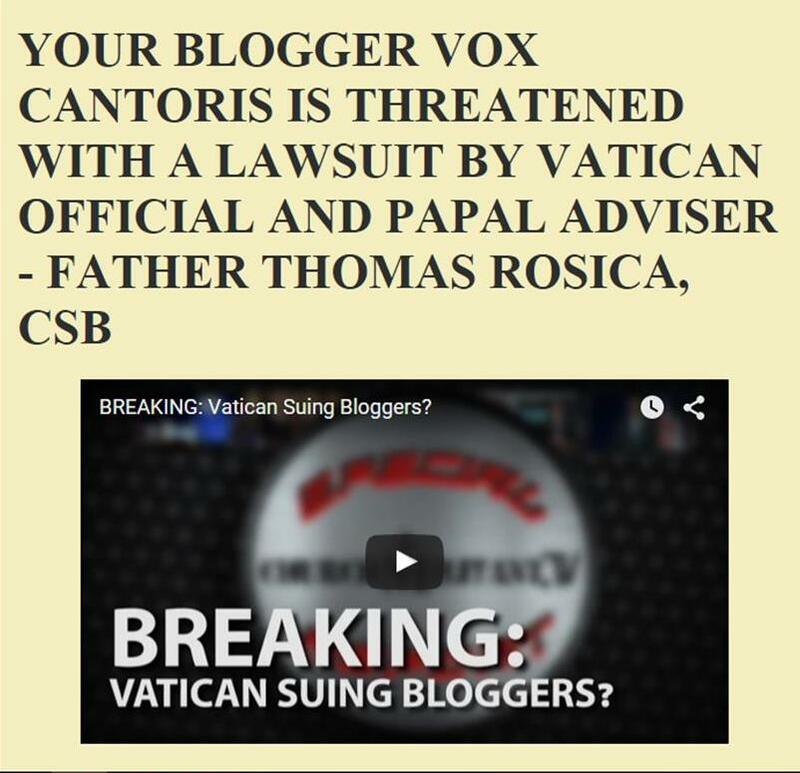 Still calling the novus bogus the Catholic Church Mark? I'm on my way to the promised land, whoo! May God bless blogger ContraDiction for his loylaty to truth and reason. No wonder people are afraid to do pro-life work on the sidewalks or public areas! Policeman goes too far, typical ploy dragging in "the children." Children see vastly more violence, degradation, and "offensive" images every day on TV and video games. I'd like to know how "the children" can be upset when none of them got out of the car, walked over to the speaker or even rolled down their windows. The pro-lifer is there defending children, and he is not responsible for their education, their parents are and can tell them whatever the like about abortion. The policeman has no right to badger the man with vague and unanswerable questions like "Is this really necessary?" "Don't you really care?" and "What if I feel this is offensive?" and "How long are you going to be here?" Obviously intimidation tactics to scare the pro-lifer to slink away. Violation of free speech, freedom of religion and also it's police overreach, in consultation with the pastor! Persecution and premeditated collusion! Pure statist totalitarian repression and only because a camera was rolling was this ONE UNARMED MAN not brutalized and arrested under false charges. The pro-lifer here was right on when he resisted going on the defensive and instead said, "Tell me if I'm doing something illegal, otherwise I'd like to continue according to my legal and Charter rights."